Hector Babenco (1946-2016) is an Argentine-born Brazilian director and writer, renowned for his socially conscious films about the lives of outsiders. He is best known for Pixote (1981) and Kiss of the Spider Woman (1985). He grew up in Buenos Aires, dropped out of high school and then moved to Spain to work in theater and film. He finally settled in Brazil, where he became a citizen. After working on shorts and commercials, he directed his first feature, O rei da noite (King of the Night, 1975). The international success of Pixote led to directing opportunities in the U.S., which included Ironweed (1987) and At Play in the Fields of the Lord (1991). Due to health problems, he made no films for most of the 1990s. After shooting the autobiographical Corazón iluminado (Foolish Heart, 1998) in Argentina, he directed the prison drama Carandiru (2003), based on true events. He received an Academy Award nomination for Directing for Kiss of the Spider Woman. 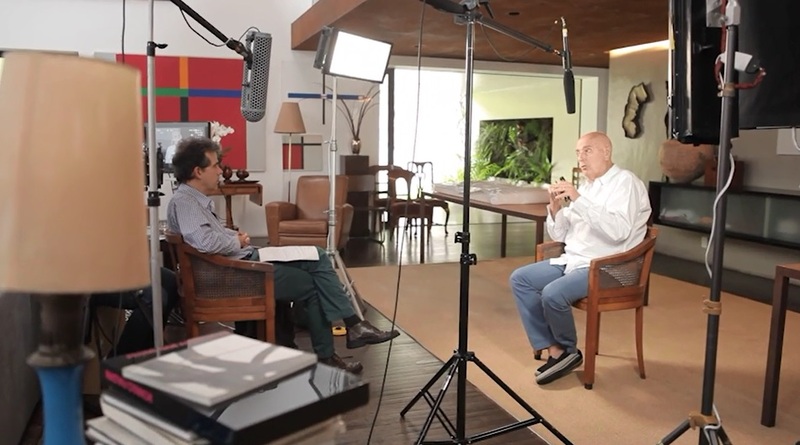 Hector Babenco is interviewed by Mateus Araujo at Babenco’s home in São Paolo, Brazil, on March 25, 2016. It is a co-production with the Getty Foundation’s Pacific Standard Time: LA/LA initiative and is part of the project From Latin America to Hollywood: Latino Film Culture in Los Angeles 1967-2017. Hector Babenco begins by talking about his early childhood in Quilmes, a suburb of Buenos Aires that was predominantly an ex-Nazi neighborhood. He describes his upbringing as being governed by fear and hostility and talks about the importance of Jewish cultural identity. He shares his memory of fleeing with his family to São Paolo, where they ended up living for a number of years before returning to Argentina in 1956. He discusses his love of literature and recounts his first experiences of the film industry, the strong cinema-going culture present in Argentina, working as a hotel concierge during the Mar del Plata festival, his early introduction to the films of Michelangelo Antonioni, Ingmar Bergman and Jean- Luc Goddard, and working as an extra in A Man for All Seasons (1966). Babenco chronicles his move to Europe at the age of 17, a decision he says was inspired by watching a production of Tennessee Williams’s The Glass Menagerie. He lived in France, Belgium, the Netherlands and Spain before settling in Brazil, where he began making shorts and documentaries. Referencing the films of Glauber Rocha, Nelson Pereira dos Santos and Walter Lima Jr, he states it was a desire for more melodrama in Brazilian cinema that compelled him to make his first feature film, O rei da noite (King of the Night, 1975). 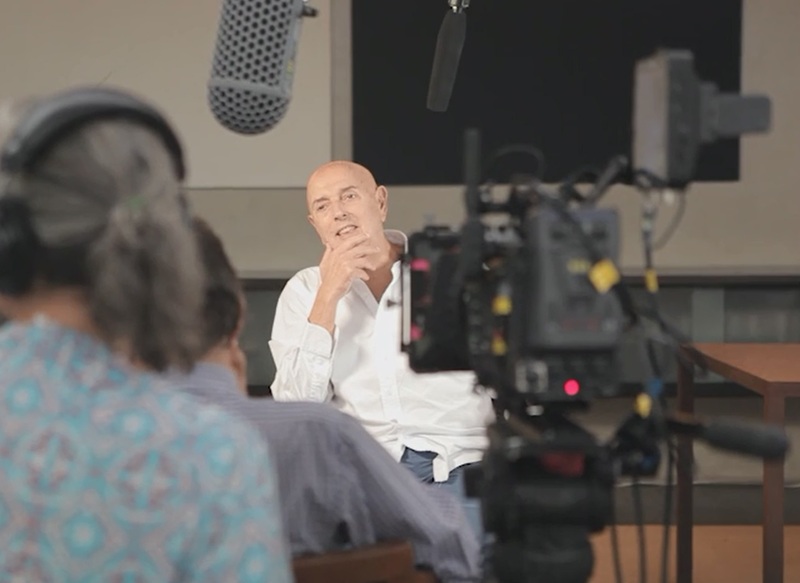 He speaks with great enthusiasm about the talented crew of people he worked with on this feature: actors Paulo José, Marília Pêra and Vick Militello, editor Sílvio Renoldi, screenwriter Orlando Senna and cinematographer Lauro Escorel, whom he credits, along with Jorge Durán, as his “real professor of film.” Throughout the interview, Babenco outlines his working process, the inescapable relationship many of his films have to politics, his experience casting and directing actors, and how living with non-Hodgkin’s lymphoma affected his creative endeavors. Further films discussed include A Terra é redonda como uma laranja (The Earth Is Round Like an Orange, 1984), Kiss of the Spider Woman (1985), Carandiru (2003) and Meu amigo Hindo (My Hindu Friend, 2016).